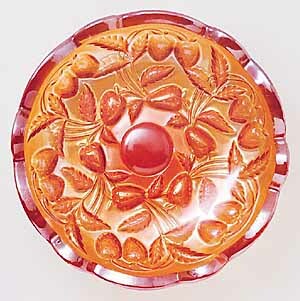 Both the Apple & Pear Intaglio and the Strawberry Intaglio have the design cut into the exterior of the bowl–which is very thick glass. 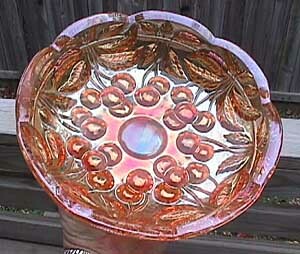 The iridescence is on the outside, not the inside. 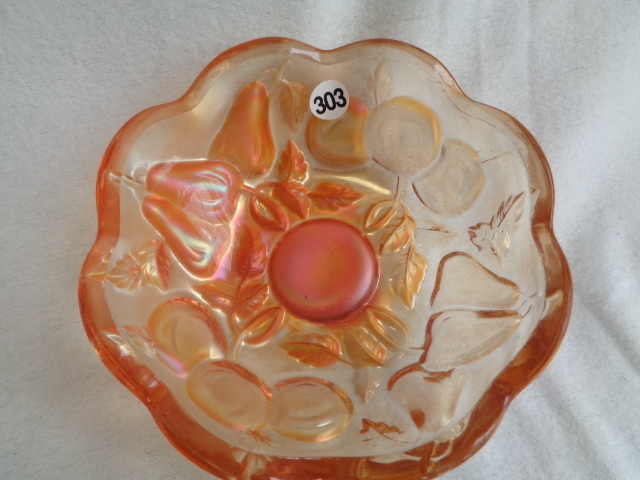 As shown in the pictures above left and center 9 3/4 inch marigold bowls. 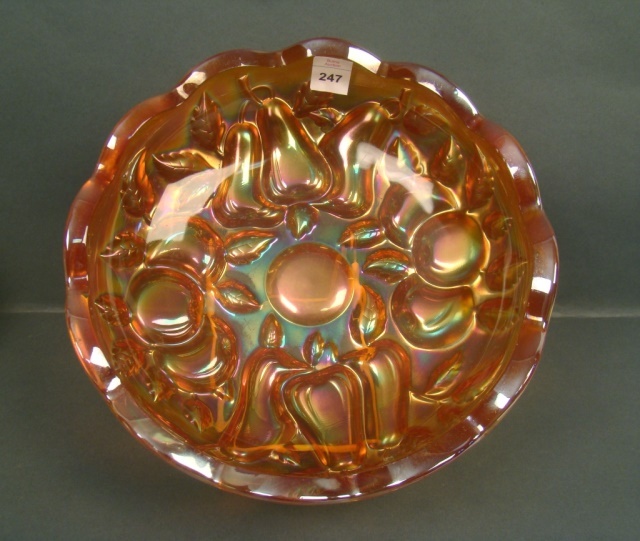 Rarely sell at auction but either is valued between $70 and $100. 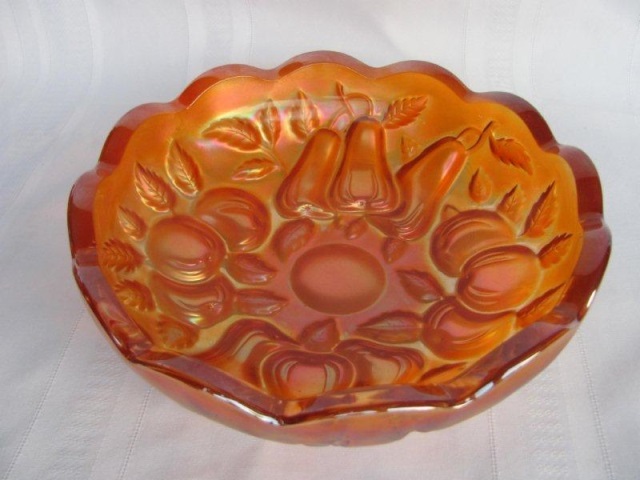 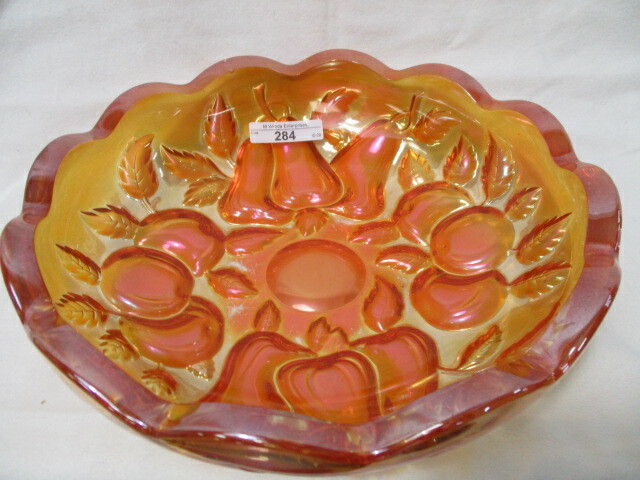 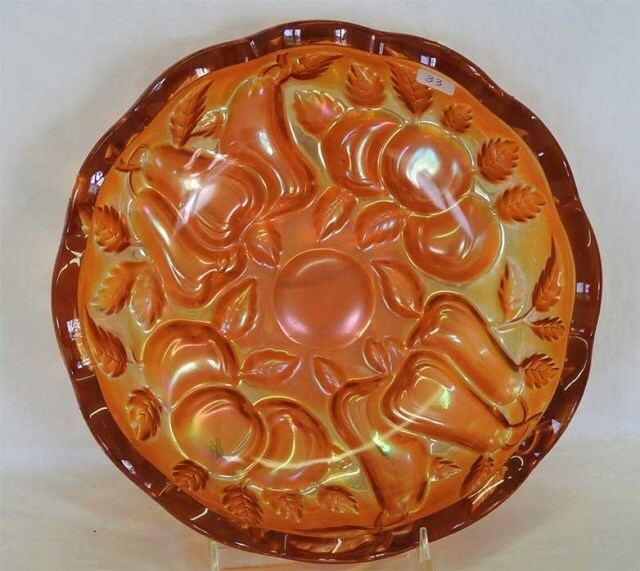 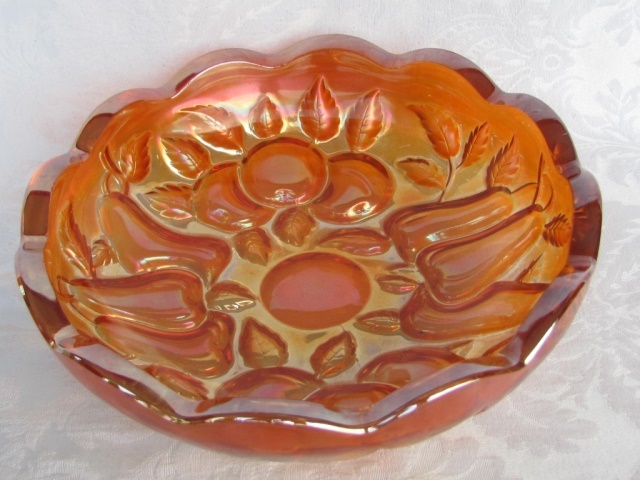 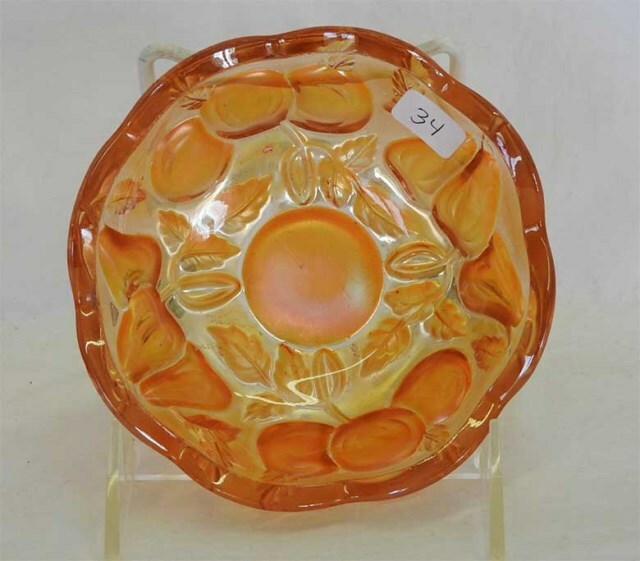 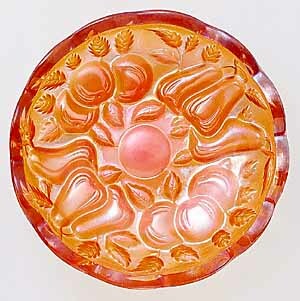 In 2005, the above right Northwood Cherry Intaglio bowl in marigold, the same style as the above items, sold for $50 on eBay.